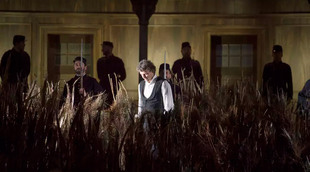 The tenor Jonas Kaufmann, who was kept away from the scenes for a few weeks because of a hematoma on his vocal cords, returns to Opera Bastille, alongside Martine Serafin, Evelyn Herlitzius and Wolfgang Koch, directed by Philippe Jordan, as Lohengrin, an emblematic role of the Wagnerian repertoire, "incarnating purity and heroism on earth". While waiting for the premiere of "Lohengrin" at the Opéra Bastille on January 18th, we return to the genesis and meaning of this pivotal work of Wagner, already highlighting the foundations of the "musical drama" combining poetry with music that will more unfold later in all the composer's repertory. The legend of Lohengrin, the Knight to the Swan, immediately arouses the most lively reactions. For some, it is only once more a question of a romantic mess. "Lot of noise, infernal confusion," a critic said about this opera, fruit of incessant readings and ardent meditations. In 1887, the Parisian creation at the Eden Theatre, under the direction of Charles Lamoureux, was still the occasion of a resounding scandal stirred up by the nationalist passions. For others, whether musicians, poets or writers, it is rather a revelation close to "an ecstasy made of voluptuousness and knowledge", according to the formula of Baudelaire. Baudelaire believes he understands the unspeakable in a perfectly intelligible way through the music of Wagner. We see in it the advent of a new art whose beauty manifests itself in the prelude's "blue-silver" light of which Thomas Mann writes, the one showed in the major tonality linked to Lohengrin, the son of Parsifal , sent from the Holy Grail who came to incarnate purity and heroism on earth. A romantic opera of the highest inspiration, Lohengrin marks a new decisive step in the search for an "infinite melody". It is a pivotal work. 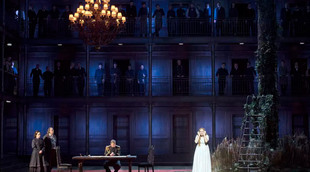 In many respects it is still connected with the aesthetics of the German roman opera instituted by Weber, as in the vogue of the "Grand Opera à la française", while it already announces the musical drama which will be developped in The Tetralogy. Wagner wants to realize the perfect alliance of poetry and music by inscribing his creations in the wake of the Greek tragedy. The composer gives an ample space to the great singing parts while deploying a sumptuous orchestral structure, the promise of a new sound space in which Wagner's symphonic colour gradually unfolds, which will become his immediately recognizable sound signature . 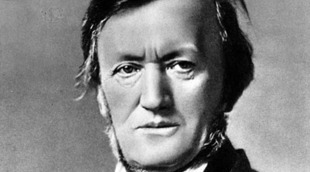 For five years, from 1845 to 1850, Richard Wagner continued the development of Lohengrin in a relative continuity. From city to city, from Paris to Marienbad, from Dresden to Leipzig, the composer matured and worked on this new opera while carrying out other projects and living a busy life, soon shattered by the political events that shook Europe in 1848. Wagner was wanted by the police for participating in the "May Days" of 1849, and had to leave Dresden. The musician condemned to exile went to Zurich where he remained until 1860. In describing how Wagner conceived the whole of his ambitious artistic project, Thomas Mann writes: "There is no chronology of his operas: they are born at a certain date, but they are ready before the date all of a sudden". Each of his works is elaborated on a personal, musical and literary, artistic and theoretical, even political context. Lohengrin was conceived at the same time as Tannhäuser (1845), which was conceived at the same time as Die Meistersinger von Nürnberg (1868). Always caught up in the preparations of Tannhäuser, Wagner completed the libretto of Lohengrin. The literary style is deliberately archaic. "The versification is impressive and beautiful, the style is high and appropriate to the characters, this drama borrows a singular reflection of the Middle Ages reproducing the old German language", Franz Liszt underlined in the article he devoted to the literary and musical analysis of Lohengrin, few days after having directed the first performance. This text, which remains a reference, was published in French in 1851 with an article on Tannhäuser. Liszt wanted to make it easier by his comments an opera whose novelty had enough to disconcert the audience. Anyway a first sketch of the work was born in 1846, then another in 1847. Wagner adopted a new method of composition by designing his score as a whole and then reworking this or that part. Abandoning a design in numbers or separate scenes, he took another step towards the musical drama. A "fade-in" connects organically every scenes to the others. The use of "leitmotive" and "conductive patterns" becomes clearer. The final draft was completed on April 28th, 1848. The first written bars were those which accompany the Grail narration in the third act; the last are those of the Prelude which, with its mesmerizing sound's prolongation, immediately gives the climate of Lohengrin, made of a mixture of meditation and contemplation. Wagner concentrates the action on a vocal quartet: Lohengrin is a lyric tenor with a timbre that must be clear and radiant. Liszt believed that in the farewell to the swan of Act 1, one must understand the "sweetness of the tenor timbre", his "velvety", his "softness." We are far from the vocal heroism usually associated with the "Wagnerian tenor." This is in general the first Wagnerian role approached by the singers of the Italian school. Pure and intensely touching in her fragility, Elsa is a lyric soprano who must absolutely avoid the trap of a certain bitterness. 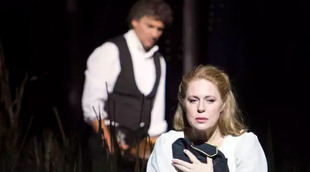 Ortrud, the woman-demon, "who does not know love," as Wagner says, is a mezzo-soprano or great dramatic soprano whose darkness of timbre must be accompanied by a strong dramatic temperament. Telramund is the prototype of the Wagnerian baritono, with great projection and feverish phrasing. Lohengrin was created only two years later thanks to Liszt and in the absence of his composer, forbidden to stay on German territories. Wagner, the outlaw, has spared no effort to have his opera represented. For a long time he suffered from being unable to take care of the representations of his work, which pursued his life outside his control. After a difficult reception "Lohengrin" aroused enthusiasm throughout Germany. The composer conducted excerpts in Berne before being able to attend a performance in Vienna in May 1861. He still had to wait until the order of his proscription was canceled. On September 12th, 1862, in Frankfurt, Wagner coul finally direct "Lohengrin" himself. Wagner was interested in the legend of Lohengrin in the early 1840s. Son of Parsifal, the Swan Knight appears in two medieval texts that captivated Wagner: an epic of the 12th century, "Wolfram von Eschenbach's Parzival", and "Lohengrin", the novel of one of his followers, Nouhuwius. As usual, the composer used many other sources such as "The Swan Knight" of Konrad von Würzburg, the "Legends of the Netherlands" of Wolf or "The German Legends" of the Brothers Grimm and "The Wild Swans" of Andersen where we find the theme of a child transformed into a swan. Starting from Lohengrin, Wagner engages in an almost scientific process to recover the primordial essence of myth by relying on a genuine method of philological investigation. All this rich literary corpus allowed the musician to reinvent a character to the extent of his artistic features. Wagner does not simply adapt what he collects in the course of his discoveries as a passionate reader, but transforms and condenses these main elements at the end of a very complex work that leads him to a synthesis between legend and history. In "Lohengrin" we find the reconstruction of an authentic medieval atmosphere made up of a mixture of historical reality and magic, political truth and marvel. In it there was Wagner's pride because, according to his wife Cosima, he had put in his opera "a perfect image of the Middle Ages." Nietzsche also emphasized: "Where will the chivalrous Middle Ages be resurrected in its flesh and spirit, as it is in 'Lohengrin'? ". The taste of legends and the recourse to a past dating back to the national origins are typical of romanticism. "Lohengrin" fits perfectly in the wake of "Euryanthe" (1842) by Carl Maria von Weber (1786-1826), a musician whom Wagner admired so much that he organized the repatriation of his ashes to Dresden in 1844. We find in both operas the theme of evil and calumny, and above all the confrontation of two couples, one pure and luminous, the other bound by resentment and the desire to destroy. What brings Wagner back? It takes up all the elements of romanticism to build an ideal legend around a hero who appears as the symbol of the visionary and misunderstood artist. Wagner wanted that "A person was blinded when Lohengrin appeared". Knight of light, from a mysterious world, Lohengrin is enveloped by an ecstatic music that materializes "immensity without other decoration itself" according to the formula of Baudelaire. The composer assigns to the music the role of "showing" the invisible, giving it a dimension in which the listener, dazzled, can move and blend as in a dream. Lohengrin first existed in Elsa's dream as she sank "into a soft sleep" (Act 1, scene 2). "I remember that, from the first notes, I undergo one of those happy impressions which almost all imaginative men have known, by dream, when sleeping ... Then I involuntarily painted the delightful state of a man in a great reverie, in absolute solitude with an immense horizon and a wide diffused light." One can only be struck by such a images and sensations between the work of Wagner and the poet, Baudelaire, who perceives all his musical ambition. Elusive and fascinating, Lohengrin incarnates a transcendent power that provokes veneration and admiration but not the love to which he aspires. Knight of the Holy Grail, from the depths of his retreat where the cup containing the blood of Christ is preserved, he heard the invocation of Elsa unjustly accused of the murder of his brother. He comes to prove her innocence and save her arriving in a small boat pulled by a swan tied with a gold chain. This apparition is a real miracle for the people of Brabant who repeatedly calls Lohengrin "messenger of God". See also : Jonas Kaufmann recounts Lohengrin (video interview in english). The young man offers to undergo the judgment of God by fighting for the honor of the princess and promises to marry her then on one condition: that she does not seek to know where he comes from or who he is. This prohibition constitutes from the start an insurmountable obstacle: how could an authentic love exist without a reciprocal knowledge? The theme of silence and of the defended question, like that of the curse of the hero caused by the violation of a prohibition, is recurrent in Wagner. They are found in different versions in "Der fliegende Holländer" (1843), "Tannhäuser" (1845), "Die Walküre" (1870) and "Parsifal" (1882). In "Die Walküre", the revelation of the identity of the mysterious stranger she welcomed, brings love to Sieglinde despite her irresistible desire to know. She recognizes her brother Siegmund who will become his companion and lover until the death. In "Lohengrin" Elsa, like Senta in "Der fliegende Holländer", will be devastated and devoted to death by the imperious desire to know the one she has sworn to love with the blindness of an absolute faith. Who is the Dutchman? Who is Siegmund? Who is Lohengrin? This constant interrogation of the real identity of the hero is so present in Wagner that one is tempted to see in it the projection of a personal question: who was Richard's father? His official father died when he was only six months old? Or Ludwig Geyer, a friend of the family with whom his mother remarried? In "Das Kunstwerk der Zukunft" Wagner summarizes very clearly the dramatic meaning of his work: "The interest of 'Lohengrin' rests entirely on an episode which is accomplished in the heart of Elsa and which touches all the soul mysteries." Elsa, by her desire, aroused the arrival of Lohengrin. The manipulative and malevolent Ortrud, as well as Telramund, are only the personification of the doubt and suspicions that prompt the young woman to question the Chevalier about his true origins. "As a symbol of history, I can only retain the encounter of a supernatural appearance with human nature and the impossibility for this encounter to last." Wagner sets to music a theme present in most mythologies: no lasting union is possible between a mortal and a supernatural being. Lohengrin seeks a woman who allows him to unite with the world of humans through absolute love and trust. But Elsa snatches from him the confession of his divine essence and sacred mission. 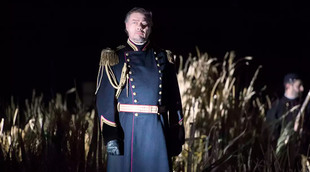 Lohengrin delivers the exiled brother of Elsa whom a spell of Ortrud had turned into a swan and he moves away forever, condemned to reconnect with his first solitude. Archetype of the Wagnerian hero, Lohengrin announces Parsifal, but also Walther, the Redeemer of Art, or Siegfried. In "Eine Mitteilung an meine Freunde" (1851), an essay he wrote in Switzerland, Wagner designates Montsalvat, the inaccessible place from which Lohengrin comes, as the metaphor of the artist's kingdom, mediator of the absolute. If Lohengrin refuses to reveal his identity, it is also because putting words on the unspeakable would lead to destroy the magic of art. Wagner evokes "the desire of the artist to be fully understood by feeling". 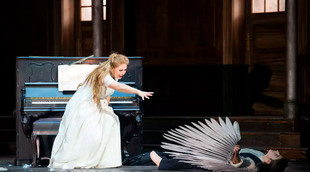 Lohengrin does not demand anything else from Elsa. When words become impotent, music takes over to give life and form to the inexpressible. The translation is taken from “Jonas Kaufmann by Laura Fontana“ page, by kind permission of Laura Fontana.